I shook my head no. 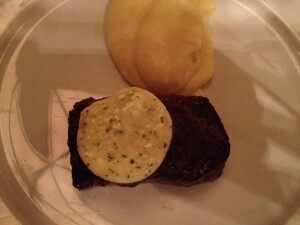 Dinner at Thomas Keller’s French bistro, Bouchon had been lovely – the food was excellent and the service, impeccable. 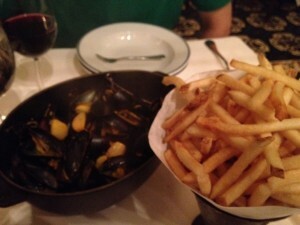 We shared an entrée of Moules au Safran (Maine bouchot mussels, steamed with white wine, Dijon mustard & saffron, served with French fries, $28.5) as our appetizer and then split the Steak Frites (pan-seared ﬂat iron, caramelized shallots & herb butter, served with French fries, $37), for dinner. Our waitress was nice enough to offer us a pommes purée, in lieu of a second order of fries. The mussels were small, but plump and tender in a strong white wine and herb broth. The tureen was large and perfect for dipping the superlative baguette. The fries were hot, crispy and perfectly salted. The flat iron steak was tender and flavorful, and the pommes purée was the smoothest, silkiest mashed potatoes you can imagine. Our side order of haricot vert (French green beans) was delicious as well, but I was too full to finish them. So, when he asked if I wanted dessert, I declined. We left the restaurant and he walked me past the set of elevators. 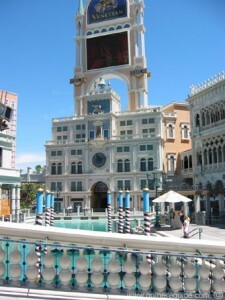 I inquired where we were going and he led us outside to the pool and gardens of the Venetian Hotel. The air was warm and balmy and we immediately came upon three drunk girls playing in a fountain. Not finding what he was looking for, he steered us back inside the hotel. We continued walking through the casino in the Venetian. I started to steer him towards the direction of the monorail which would bring us back to the hotel. “Why is that?” I asked and he told me that it was a Danger Zone. Back in April, we were at a Red Sox game and someone proposed over the Jumbotron. He turned to me and said, “Don't worry, I know better than to do that here. Fenway Park is a Safe Zone.” I remember thinking at the time, Safe Zone??? We are talking about a proposal, not sniper fire – did I really need a Safe Zone? 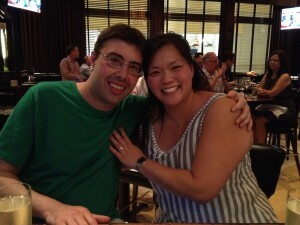 But here we were, three months later and he was telling me that the casino floor of the Venetian Hotel was Danger Zone. “Really? Here? This is a Danger Zone?” I asked incredulously. We were literally walking between the slot machines and the roulette wheel. Yup, he replied. He informed me that he had two different plans earlier in the week but they both fell through so, this is it. There was a sign for the clock tower which we followed, hoping it would be what he was looking for. So, we went outside the Venetian Hotel, and found a (relatively) quiet spot in front of the canal, adjacent to the clock tower. Hysterically enough, as we kissed and embraced in celebration, cannons started going off, I assume from the Treasure Island hotel pirate battle that goes on nightly. Clearly, Steve planned it all perfectly. I suggested that we go visit the real clock tower in Venice for our honeymoon. 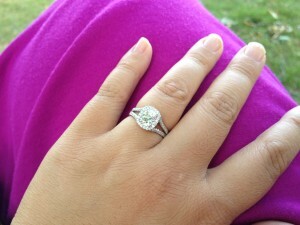 My amazing ring - Cushion cut in a halo with a pave split shank platinum setting. Where he proposed, in front of the canal, next to the clock tower at the Venetian Hotel.